Some paintings by Olof Rudbeck (1660–1740) are part of the exhibition. 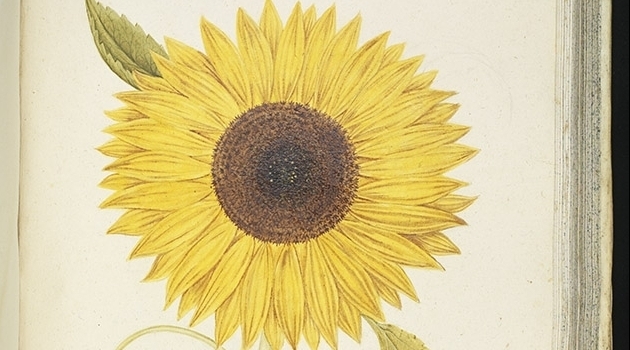 Here a picture of a sunflower from ‘Blomboken, vol. VII, 1689– c. 1709. Museum Gustavianum, the Uppsala University Museum, has produced an exhibition of treasures from the University’s collections that will be shown in Tokyo during the spring and summer. 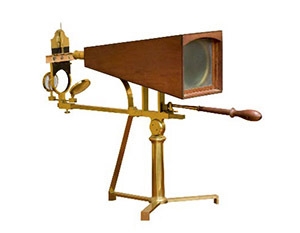 The exhibition is about the interplay between art and science in the 17th and 18th centuries. The focus is on three well-known Uppsala figures – Olof Rudbeck, Carl Linnaeus and Carl Peter Thunberg. Thunberg (1743–1828), London, c. 1790. The exhibition has been titled The Art of Natural Science in Sweden – Treasures from Uppsala University. “The exhibition presents paintings, magnificent books and unique objects from the University’s collections that are associated with these international pioneers of science from Uppsala,” says Deputy Museum Director Mikael Ahlund, who has curated the exhibition. The exhibition has come about in cooperation between Museum Gustavianum and the University Museum, the University of Tokyo. It will be on display in the Intermediatheque museum facility, located in the former Tokyo Central Post Office, from 24 April until 26 August 2018. The cooperation between Uppsala University and the University of Tokyo is part of the celebration this year of 150 years of diplomatic relations between Sweden and Japan. It will be opened on 23 April in the presence of the King and Queen of Sweden and the Emperor and Empress of Japan. Uppsala University will be represented at the opening by Deputy Vice-Chancellor Anders Malmberg, together with Marika Hedin and Mikael Ahlund, the Director and Deputy Director of Museum Gustavianum.